The FBI says a 3-year-old girl reported missing earlier this week is not the girl seen in a photograph in a Walmart in North Carolina. A Jacksonville, North Carolina, woman reported that Mariah Kay Woods was missing from their home sometime early Monday and an Amber Alert was issued for the child. 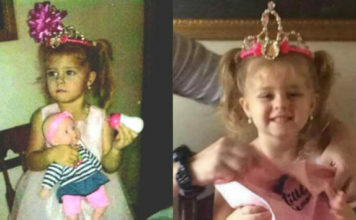 The FBI joined the search Tuesday and had asked for the public’s help in identifying an unknown woman and young girl seen in a Walmart store in Morehead City on Monday morning, about 40 miles (65 kilometers) east of Mariah Woods’ home. The FBI said in a news release Wednesday that the woman and child in the photos have nothing to do with the case of the missing girl. The search for the girl continued Wednesday afternoon. The FBI has released a photo of a woman and child at a Walmart in North Carolina as officials search for a 3-year-old girl who was reported missing early Monday. Kristy Woods told authorities she thinks Mariah Kay Woods was abducted from their home near Jacksonville sometime after 11 p.m. Sunday. 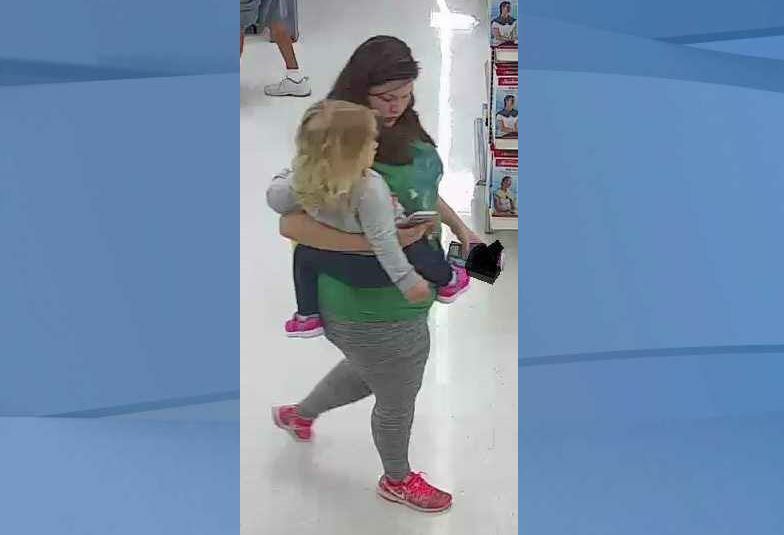 The FBI joined the search Tuesday and released three photos early Wednesday that show a woman and a child in a Wal-Mart in Morehead City, about 40 miles east of the girl’s home. The FBI is asking for help identifying the woman and child in the picture. The girl’s biological father is questioning the reporting kidnapping, saying it’s hard to believe no one in the house heard anything. The biological father of a 3-year-old North Carolina girl who disappeared from her home says he doesn’t think his daughter was kidnapped. Alex Woods told WCTI-TV in New Bern in an interview Tuesday he didn’t know Mariah Kay Woods was missing until an Amber Alert was issued Monday. Kristy Woods, the girl’s mother, told authorities she last saw Mariah about 11 p.m. Sunday when she checked on her at their home near Jacksonville. Woods said she called authorities around 6 a.m. Monday when she noticed Mariah was missing. Alex Woods says he can’t believe someone could walk into the house and grab a 3-year-old out of her bed without her crying out or screaming. He says two adults and two other children were in the house and someone should have heard something. The FBI joined the search Tuesday. Authorities have stepped up the search for a North Carolina girl who disappeared from her home. Onslow County Sheriff Hans Miller told news outlets that investigators need a break in their search for 3-year-old Mariah Kay Woods, who was reported missing from her home about 6 a.m. Monday. A statewide Amber Alert has been issued for Mariah. Kristy Woods told WITN-TV in Greenville that she last saw Mariah about 11 p.m. Sunday when she checked on her. She said her boyfriend saw the child about midnight when she got up and he told her to go back to bed. Once they realized she was missing, the couple said they called authorities. The home is just west of Jacksonville and Marine Corps Air Station New River.